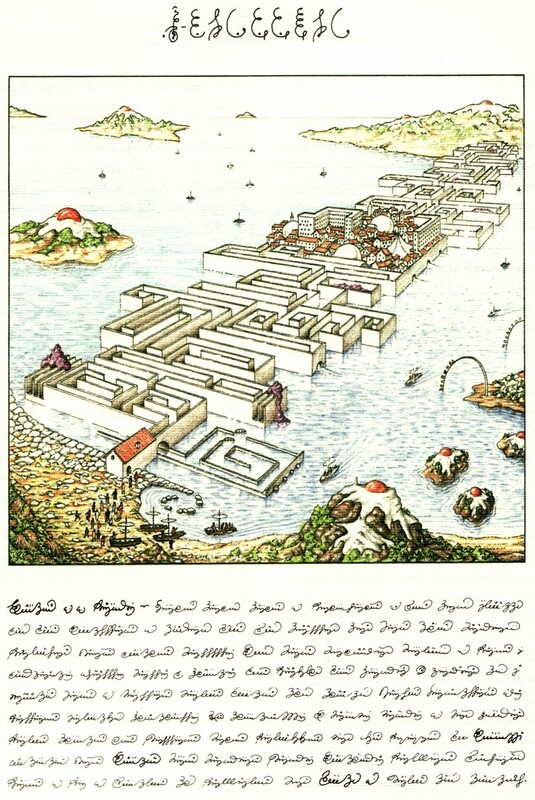 ‘This looks like something straight out of Calvino’ someone remarked, recalling the fantastic descriptions of Italo Calvino’s Invisible Cities, a book all of us had read within the last few months. We all agreed. 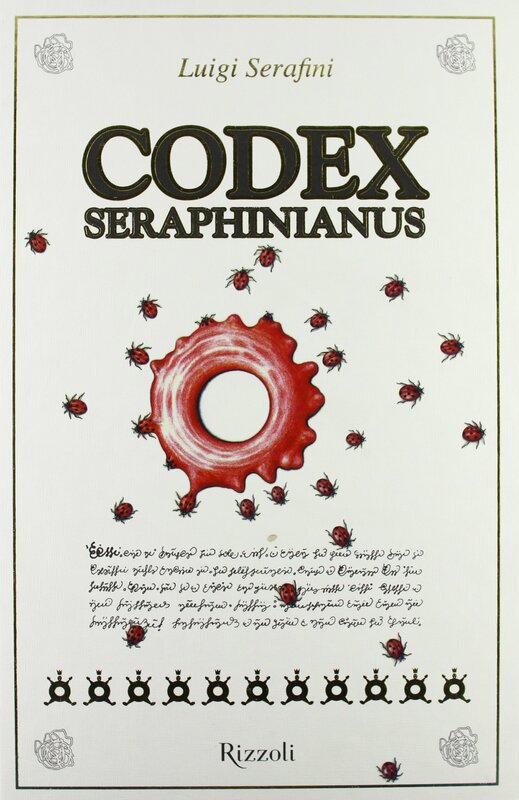 What we were marveling over was the insanity of the surreal architecture contained in the Codex Seriphinianus, the mysterious book created by Italian artist, designer and architect Luigi Serafini. ‘You know what? Serafini and Calvino… I bet those two knew each other’, after all they were both Italian, both alive during the same period, and both made books about surreal and fantastic imaginary worlds – surely this wasn’t just a normal Italian pastime in the 70s and 80s! Perhaps they that sat together in coffee shops in Rome sipping on espresso and debating on the nuances of how to produce the most brilliant imaginary world possible. 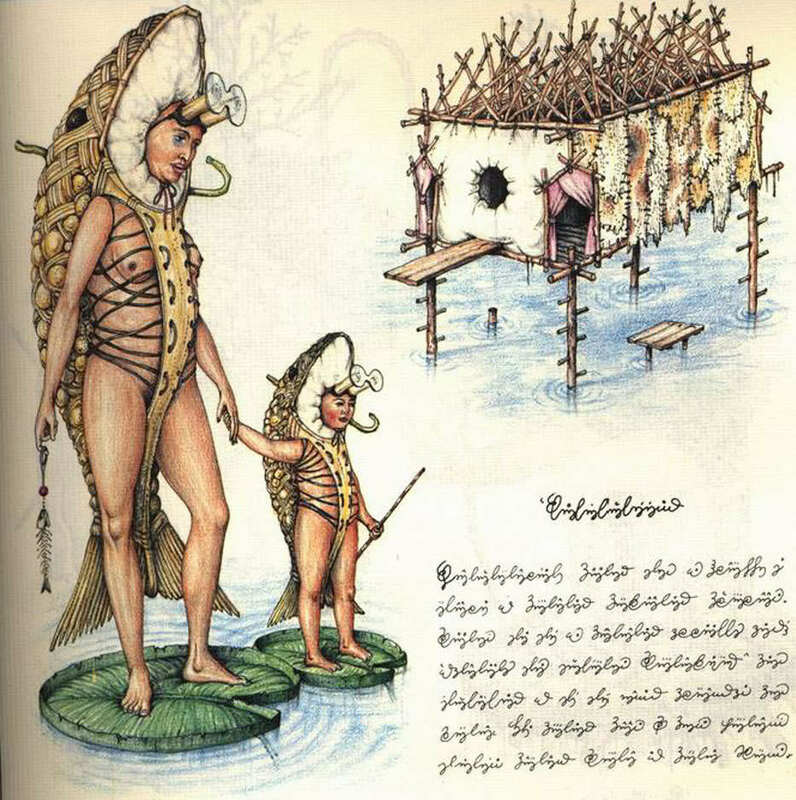 We started pouring over the Codex again, roaring with laughter, trying to make some sense of the images which were now seemingly more and more hilarious and absurd. We came past it’s flora, it’s fuana, it’s architecture and it’s cosmology, until once again we reached the end and flipped the book closed. What we noticed was a large label on the back cover written in some foreign language. ‘Is that… part of the book?’ somebody contemplated. One summer afternoon in 1978, a voluminous parcel arrived in the offices of the publisher Franco Maria Ricci in Milan, where I was working as foreign-language editor. 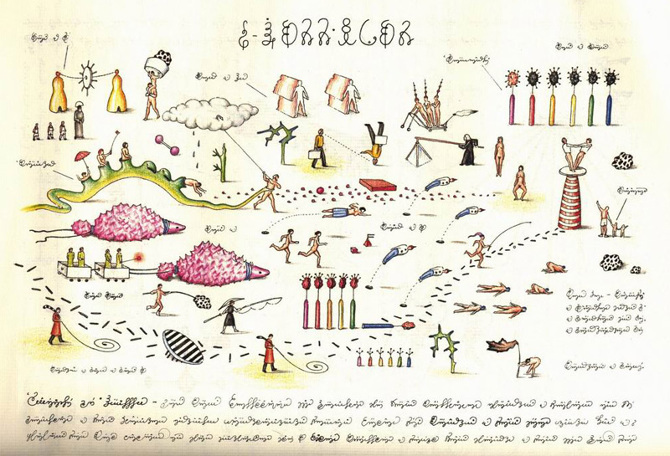 When we opened it we saw that it contained, instead of a manuscript, a large collection of illustrated pages depicting a number of strange objects and detailed but bizarre operations, each captioned in a script none of the editors recognized. 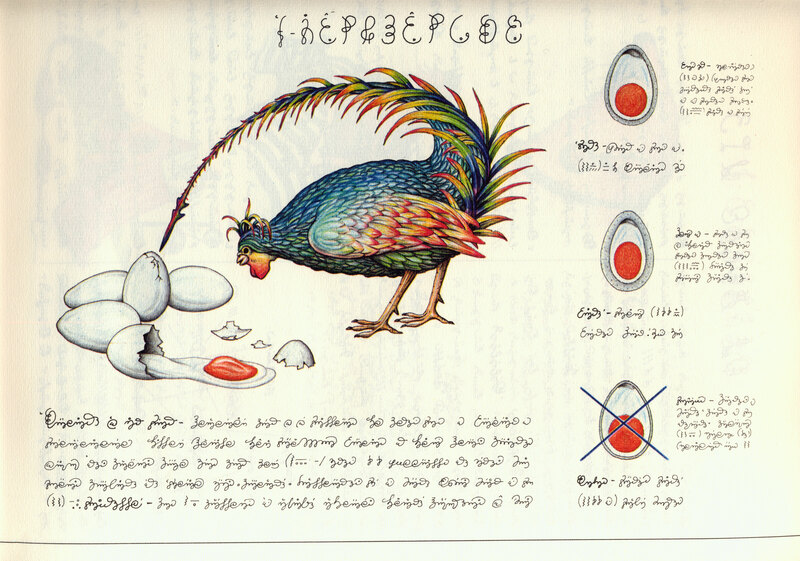 The accompanying letter explained that the author, Luigi Serafini, had created an encyclopedia of an imaginary world along the lines of a medieval scientific compendium: each page precisely depicted a specific entry, and the annotations, in a nonsensical alphabet which Serafini had also invented during two long years in a small apartment in Rome, were meant to explain the illustrations’ intricacies. Ricci, to his credit, published the work in two luxurious volumes with a delighted introduction by Italo Calvino; they are one of the most curious examples of an illustrated book I know. An introduction by Calvino! So that must have been what the label on the back was referring to. Now the dots started to join together. But as far my friends and I could work out, the introduction to the Codex, titled ‘Orbis Pictus’ (another glaring link back to Borges’ Tlön) was written in Italian, and seemed to be difficult to find in the full English translation. Perhaps the conclusion of story would come to an end due to our naive anglophilia. However Justin Taylor, the author of the above article, persisted, and years later he managed to find a copy of Calvino’s original Italian text which had been subsequently translated into French. He quotes that he kindly asked S. E. Grant, a friend of his, to translate what she could from French into English, and since she was also fascinated with the project she gladly agreed. In the beginning, there was language. In the universe Luigi Serafini inhabits and depicts, I believe that written language preceded the images: beneath the form of a meticulous, agile, and limpid cursive (and strength lies in admitting it is limpid), that we always feel on the point of deciphering them just when each word and each letter escapes us. If the Other Universe communicates anguish to us, it’s less because it differs from ours than because it resembles it: the writing, in the same way, could have developed very similarly to ours in a linguistic forum that is unknown to us, without being altogether unknowable.… Serafini’s language does not distinguish itself only by its alphabet, but also by its syntax: the objects of this universe evoke the language of the artist, such as we see them illustrated in the pages of his encyclopedia, and are almost always identifiable, but their mutual relations appear psychologically disturbed to us by their unexpected relationships and connections.… Here is the conclusive point: endowed with the power to evoke a world in which the syntax of things is subverted, the Serafinian writing must hide, beneath the mystery of its indecipherable surface, a more profound mystery touching on the internal logic of language and thought. 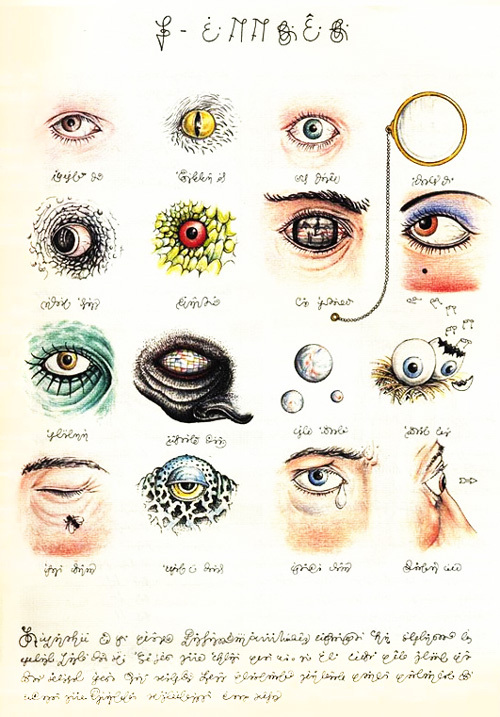 The lines that connect the images of this world tangle and cross; the confusion of the visual attributes gives birth to monsters, Serafini’s teratological universe. But the teratology itself implicates a logic which appears to us to, turn by turn, flower and disappear, at the same time giving us the sense that the words are carefully traced back to the point of the quill. Like Ovid, and his Metamorphoses, Serafini believes in the contiguity and permeability of all the domains of being. 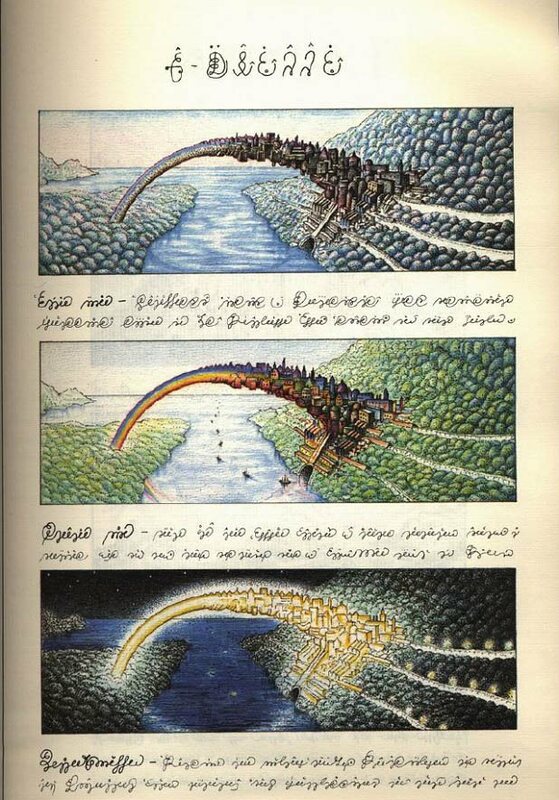 So our psychedelic induced idea that Italo Calvino and Luigi Serafini knew each other is, to some extent, a true one. However the idea that they sat together in coffee shops in Italy sipping on espresso and debating on the nuances of how to produce the most brilliant imaginary worlds possible is seeming ever more unlikely. In fact, Calvino was not even first choice to write the prologue to the Codex, Roland Barthes had already gladly accepted the invitation, but after his sudden death in 1980 the choice fell to Calvino. …At the end of the tally the destiny of all writing is to decay into dust; only the skeleton of the hand that writes survives. Lines and words detach from the page, breaking away, and here the tiny motes of dust spew forth the colored corpuscles from the rainbow, which then begin to frolic. 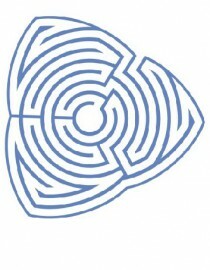 For the vital principle of all the metamorphoses and all of the alphabets, a new cycle begins. Thanks to Justin Taylor for all the hard work that went in to deciphering this mystery 10 years ago! Apologies to anyone who saw the other version instead of this. There was a mix up with the schedule time!